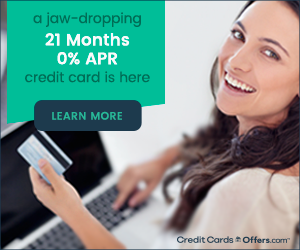 How Many Credit Cards Do You Need for Solid Credit? If you’ve ever experienced the horror of credit card debt, then the answer to this question is likely “no credit cards!” However, for those who haven’t had to deal with such paralyzingly intense financial burdens may be confused about this question. The truth of the matter is credit cards can help you reach your ideal credit score; however, you must learn how to use them correctly. While there are literally thousands of tips when it comes to responsibly using credit cards, this article will primarily focus on the number of credit cards you should have to build and sustain a solid credit score. According to the latest surveys, roughly 72 percent of American consumers utilize at least one credit card. Moreover, the study found those who use some sort of payment card, such as a debit or credit card, have nearly four individual cards. Seeing this, it’s easy to suggest that in order to sustain a healthy credit score you should have multiple credit cards. However, the true answer isn’t as cut-and-dry. The primary concern about having multiple credit cards revolves around its impact on your overall credit score. When you have more than one credit card, you can actually boost your credit score as it’s far easier to keep your overall credit utilization ratio relatively low. For example, if you have a single credit card with a $1,000 credit limit, you should only carry a balance between $200 and $300 to retain the ideal utilization rate. More examples of managing credit cards can be found here. 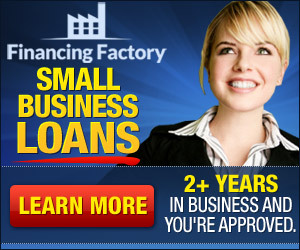 However, if you have multiple lines of credit totaling $10,000 you can charge up to $2,000 – $3,000. While this may not be the best choice for you, it’s easy to see that the more lines of revolving credit you have, the easier it will be to remain under the suggested limits. In the quest of retaining the ideal credit score, the more lines of credit you have, the easier it will be to keep your utilization ratio low. However, the leading credit reporting agencies don’t recommend opening credit card accounts with the sole goal of increasing your overall lines of credit. In fact, Your650Score.com says that if you have too much credit at your disposal you can actually lower your credit score. Another primary benefit of opening multiple credit cards is obtaining a variety of benefits. The majority of credit cards come with rewards based upon your card usage. For example, some credit cards offer a 5% cash-back reward when you use your card at specific retailers, such as at grocery stores, hotels and even at gas stations. By utilizing these unique benefits, you can actually make money by using your cards on everyday purchases. However, it’s imperative that you remember to keep your utilization ratio below 30 percent and actively working to pay off your balance each month to save you on interest payments.